Aizawl, Mar 3 : Music is a way of life in the northeast. Over the years it has been used as an effective tool to promote unity in the region. Young Mizo boys and girls too dream of making it big in the world of rock music. They spend hours jamming together, honing their skills in pursuit of their dreams. Today several bands from Mizoram are enthralling the audiences and round the country. 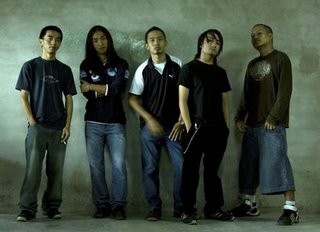 "Bands in Mizoram are real good. They are going to many places all across the country to perform. Scavengers, Boomerang and other bands are real good and we hope to become like them," said Joseph, band member, Drop Doubt. The love for music and the popularity of the bands is clearly visible. Over the years these bands have used music to promote unity among the states of the northeast. Many of them have performed in different parts of the country helping raise awareness about the region. "Music will bond all the communities and races of northeast. It will bring all the northeast states together," said M S Sailo, band member, Drop Doubt. Music in the norheast, is also being used to promote social issues. Recently a rock concert under the banner of "Youths are the Solution not the Problem" was organized in Arunachal Pradesh to raise awareness about HIV-AIDS. The concert was a part of the Red Rock fest that was organized under the aegis of National AIDS Control Organization (NACO) and the State AIDS Control Societies. Large crowds thronged the venue making it a successful event. "Through rock festival we want to catch hold of youths coming to witness the rock music as well as learn and pledge themselves to fight against HIV and AIDS and to do so they have learnt lots of things," said Emi Rumi, project director, Arunachal Pradesh State Aids Control Society. "Specially, for young people, I think, this message about HIV AIDS is extremely important. many countries face the problem including the US. It is a problem still in India and it needs to be addressed. So, if consciousness is raised, then that is a very good thing and we support it 110 percent," said Peter Burleigh, a visitor from USA. The music and musicians of the northeast are gaining popularity and in the process bridging the gap between the region and the rest of the country.